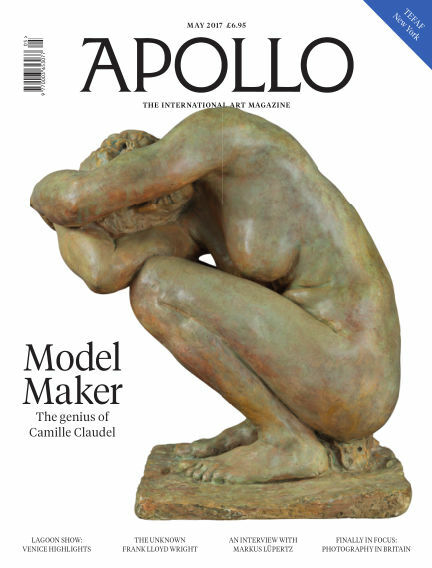 In this issue of Apollo Magazine : Founded in 1925 and published monthly, Apollo is one of the world’s oldest and most respected magazines on the visual arts. It covers everything from antiquities to contemporary work, as well as providing in-depth discussion of the latest art news and debates; exclusive interviews with the world’s greatest collectors and artists; expert information on the market; authoritative guidance on collecting; and reviews and previews of exhibitions worldwide. With Readly you can read Apollo Magazine (issue May 2017) and thousands of other magazines on your tablet and smartphone. Get access to all with just one subscription. New releases and back issues – all included.